Town reeling in confusion over seemingly soft-spoken hostage taker's death. Just moments after a student threatened him at gunpoint, the principal of the Wisconsin high school in which two dozen students were held hostage is heard in a hushed voice urging a 911 dispatcher to tell police to "hurry." The tape of Principal Corry Lambie's 911 call was released today and he can be heard calmly describing the situation to the emergency dispatcher, after just having come face-to-face with the teenage gunman. "We have a student holding an entire class hostage," Lambie tells emergency operators before saying he's making the call from another classroom. "He has a pistol... Tell them [police] to hurry." 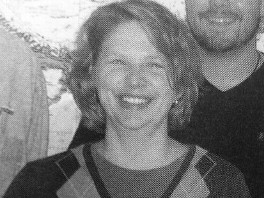 Sam Hengel, 15, brandished two guns he brought from his home on Monday afternoon during the sixth period Western Civilization class at Marinette High School and took teacher Valerie Burd, a 10-year teaching veteran, along with his 24 other classmates hostage, police said. Burd stayed on the phone with police who called the classroom while Hengel refused to talk and directed arriving students to the safety of the library. Police responded to the call but did not confront Hengel until they heard gunshots in the classroom Monday night. When they entered, Hengel turned the gun on himself. He died Tuesday morning of a single self-inflicted gunshot. None of the other students were harmed. After receiving praise from school officials and authorities for her control in such a situation, Burd spoke out for the first time late Tuesday to share credit with the kids. "The kids were great," Valerie Burd told reporters. "I'm glad they just made it out safe." "My goal during this incident was to keep Sam and the other students as calm as possible and get them all out safely," Burd said in a statement. "The students responded in an exceptionally calm manner and kept him engaged in conversation throughout the entire time." Lambie said Tuesday, "She saved the lives of many students by her calm demeanor." Hengel's death has left everyone from investigators to classmates and family at a loss to explain what might have motivated him. School and police officials released a statement today saying, "Investigators are completing interviews of students. So far a motive has not been identified." The Hengel family released a statement Tuesday, saying, "Our family is extremely distraught over the events that have taken place over the course of the last 24 hours that have concluded with the passing of our son." His family described Sam as someone who was "active in the Boy Scouts, tae kwan do, loved his iTouch and was an avid outdoorsman." He loved hunting and fishing and "anything that included his family and the outdoors," topics his classmates used when talking to Sam while he held them hostage. Classmates described him as quiet but likable, and the principal called Hengel a good student. The coroner has ordered an autopsy, including toxicology tests. But Marinette Police Chief Jeff Skorik said he had no reason to believe Hengel was under the influence of any kind of drug. The school went through training drills last fall about how to respond to a potential school shooter, Baneck said. It is unclear if Burd took part in that drill. "I was scared for the first two hours. My legs were shaking," sophomore Austin Biehl said, but, "overall, everyone remained calm, and just kept talking to him." Principal Lambie said the students "handled it perfectly." Police received a phone call Monday afternoon from the principal, alerting authorities that a students in a Western Civilization class were being held at gunpoint on the campus. "I was watching the movie and he came in," classmate Biehl said in an interview on "Good Morning America" Tuesday. "I wasn't paying any attention to him and I just saw some of my classmates see the gun and then everything just got really serious." Hengel pulled out a gun and shot the movie projector and ordered classmates to hand over their cell phones, police said. He broke his own phone when it rang. He was carrying two pistols and two knives, police said. Additional bullets for the two guns were in the backpack. Nevertheless, officials said the hostage situation wasn't discovered until a parent, who was concerned his daughter had not answered his phone call, came by the school. Principal Lambie said he went to the classroom to find the girl, only to be confronted by Hengel. "The student threatened me with the gun and told me to step back," Lambie said. Hengel was calm throughout the exchange, he said. Lambie left the classroom but not before one student -- the daughter of the man who called -- was able to exit the classroom with him. "As the officers approached him, the suspect fired one shot and injured himself in a self-inflicted gunshot wound," police chief Skorik said.